Let’s set aside the slaps, critical and otherwise, for a moment and start with this: NBC is to be commended for trying something different. As the broadcast network model burns down all around them, the suits at NBC have busied themselves with the most aggressive and outside-of-the-box fiddling. From scuttling its once iconic comedy brand with a startling lack of sentimentality (and, I would argue, with an equal lack of good sense) to turning over its schedule to a (literally!) revolving hit parade of chairs and fedoras, NBC has scratched and clawed its way back to relevance. Sure, its second stab at a live musical event didn’t fly as high as the first one, but network boss Bob Greenblatt still deserves credit for unconventional thinking. Rare is the executive who would repackage the New Testament as an ’80s action sequel. (A.D. The Bible Continues debuts on Easter Sunday, natch.) Rarer still is the one who gets a new contract out of it. So before I bury The Slap, let us praise the screwy machinations that led to its existence. Greenblatt, like everyone in the TV industry, is well aware of the way the winds are blowing and what sort of trends are borne on the backs of them. Launching a traditional drama in this ratings-depressed, competition-rich environment is nigh impossible: Just last week, NBC debuted Allegiance, a tepid Xerox of FX’s far superior The Americans. Soon that will be consigned to the scrap heap along with all the other ambitious one-word dramas Greenblatt has green-lit over the past few years, including Believe, Crisis, Deception, and Revolution. (The only kind of drama that seems to work anymore isn’t traditional, it’s Jurassic: Chicago Med will soon join its creaky Second City–based siblings, and even Law & Order might be defibrillated.) 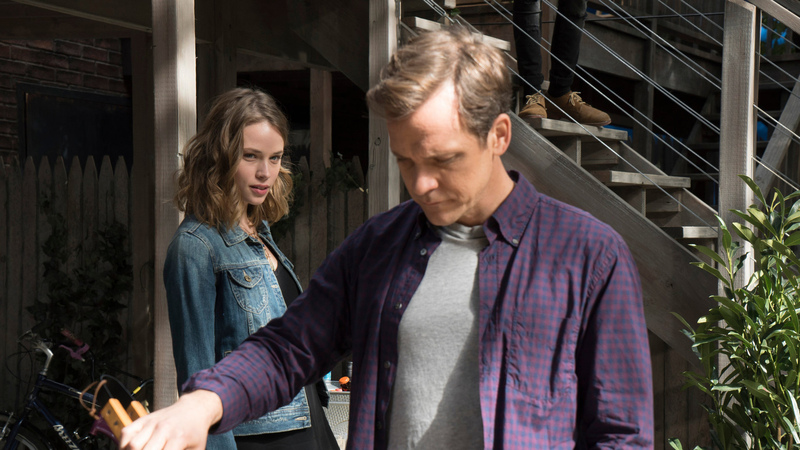 A limited — or, in NBC’s parlance, “event” — series like The Slap is the best way to stand out from the clutter and attract the sort of talent that isn’t interested in committing to a network’s standard seven-year contract. It’s an opportunity to take chances and tell complete stories — two ideas that were anathema to the broadcast model in the past but are key to salvaging some version of a future for the erstwhile Big Four. Besides, a similar strategy has worked like gangbusters for HBO and FX. Attempting it on NBC is the right move at the right time. Unfortunately, The Slap is very much the wrong result. The eight-part series is based on a 2011 Australian limited series of the same name that was itself based on a well-received novel. It’s an intense drama of manners that, to its credit, steers clear of the capes and corpses that have become inescapable on both broadcast and cable. The crew, including playwright Jon Robin Baitz (Brothers & Sisters), who handled the adaptation, and director Lisa Cholodenko (The Kids Are All Right, Olive Kitteridge), is impressive. The cast, which features Peter Sarsgaard, Uma Thurman, Brian Cox, and Zachary Quinto, is remarkably deep. And yet the two episodes of The Slap made available to critics are interminable, obvious, and agonizingly smug. Imagine the worst, most indulgent yuppie behavior played straighter than the lines on a midcentury modern coffee table. Watching The Slap is like having your throat slashed with a copy of Modern Farmer, like being waterboarded with almond milk. With its gauzy fetishizing of Brooklyn brownstones and bespoke turntables, its regurgitated, hypocritical hand-wringing over the 1 percent, The Slap makes the fatal error of mistaking easily observable behavior for artistic truth. It ought to be a satire. Instead, it’s a deathly slog. Each episode focuses on an extended member of the Apostolou clan, a fractious group of well-off Greek Americans — some friends, mostly family. Hour 1 introduces us to Sarsgaard’s Hector, a decent civil servant on the cusp of his 40th birthday. Because The Slap is a TV show, Hector — who, we are told quite plainly in a birthday toast, wants to be “good” and not “rich” — lives with his family in a multimillion-dollar Boerum Hill brownstone. And because The Slap is a TV show, Hector is miserable in the same, indulgent, vaguely Cheevery way of most middle-aged small-screen protagonists. He’s far more interested in potentially schtupping the babysitter (Gotham’s Makenzie Leigh) than his gorgeous doctor wife, Aisha (Thandie Newton), or in paying attention to his squabbling kids. But don’t take my word for it. Take Baitz’s, which frequently crashes into the narrative via a voice-over so heavy-handed, it makes a golem look light on its feet. “His reverie shattered, Hector took solace in the clarity of his life’s limits and in knowing that his few transgressions existed only in his dreams,” we’re told early on, while Sarsgaard vibes out on whiskey, Valium, and old Miles Davis LPs. A word of warning: This will be the only time either “solace” or “clarity” are mentioned in relation to The Slap. Hector’s birthday party brings all the characters together in a thick fog of privilege and self-regard. His cousin Harry (Zachary Quinto) is a type-A millionaire and bully, dismissive of his wife (the great Marin Ireland) and overly aggressive with his son, Rocco. Hector’s parents (Brian Cox and Maria Tucci) arrive bearing cartons of unwanted food and deadweights of unneeded guilt: They urge Hector to “control” his wife and passive-aggressively surprise the family with tickets to Greece. Aisha’s friend Anouk (Thurman) is a joint-packing TV writer canoodling with her young star (Gossip Girl’s Penn Badgley, whose haircut alone deserves a Peabody). And pals Gary (The Newsroom’s Thomas Sadoski) and Rosie (Melissa George, reprising her role from the Aussie production) are straw-man oddballs: He’s an artist who drinks too much and lives in a Greenpoint loft; she’s a helicopter mother who still breastfeeds their kindergarten-age son, Hugo. When Hugo acts up with a baseball bat, Harry responds by smacking him across the face. Misery, anger, and lawsuits ensue. I can’t tell you what a disappointment it is that The Slap thus far features only a single, solitary slap. I’d be much more invested in future episodes if the title were a guarantee of some sort of karmic payback for this assortment of entitled monsters. (Actually, the best-case scenario would be for The Slap to reveal itself midway as the much-anticipated spinoff of The Walking Dead.) While the bulk of the cast do their best with the caricatures they’ve been handed — poor Thandie Newton is reduced to removing casseroles from Viking ovens and saying things like, “You have to care about the right preschool, babe” — staying afloat in this goop is nearly impossible. Of the lot, only Quinto truly shines. Is it because he has the broadest part? Perhaps: Harry opens the second episode by loading up a Jacuzzi with bricks of ice, diving in shirtless, and then roaring like the Hulk. But I actually think it’s because Quinto alone seems to understand that he’s in a campy farce, not an insightful social inquiry. There’s a welcome leer in his eye and a devilish spring in his step as he parades through his custom car showroom (“You know who owned that?” he barks at a client. “Roger Moore — the best Bond”). It’s a rare splash of lightness that makes the dark mutterings of the narrator (“[Harry] knew enough of Greek history to know that not all men were born to be warriors”) temporarily bearable. I wish Quinto had convinced his American Horror Story pal Ryan Murphy to take a swing at The Slap instead of Baitz. Even better would be Larry David, an idea floated the other morning on Twitter. Though temperamental opposites, both Murphy and David are blessedly free of the sanctimony that this version of The Slap peddles. Puffed-up buffoons like the Apostolous aren’t designed to be empathized with or agonized over. They’re meant to be mocked or at least fondled by a ghost in a rubber gimp suit. Don’t get me wrong: Chronicling the internal struggles of outwardly successful people is an enormous challenge for anyone, particularly on television — a medium that, despite enormous artistic strides, still stubbornly resists interiority. Mad Men is able to pull it off, but Matthew Weiner has a writing style — not to mention an era-appropriate fashion sense — that is inimitable. The better comparison might be HBO’s exquisite Togetherness, which mines similarly gluten-free ground but does so with a generous sense of humor and an abundance of kindness toward its blinkered protagonists. Without the benefit of either, it’s impossible for The Slap to connect. Baitz — whose work I generally enjoy — seems to be under the impression he’s crafting a Greek tragedy. The truth is, comedy is the only thing that could have saved him. The worst part of all this isn’t The Slap’s badness. It’s that its failure might somehow invalidate Greenblatt’s utterly necessary gamble. Network TV is in dire need of new stories and new ways to tell them. Everyone acknowledges this, even the Luddites at CBS. What’s frustrating is that when given both the mandate for change and the wiggle room to attempt it, Greenblatt continues to mine the same tired terrain. The most encouraging headline from the 2014-15 television season is also the least surprising: Broadcast shows made by diverse creators and featuring diverse performers are far and away the breakout hits of the year. ABC’s1 How to Get Away With Murder and Black-ish were the biggest successes of the fall, and its Fresh Off the Boat looks likely to equal that feat in the spring. Fox’s Empire is a phenomenon not seen in decades. In addition to being good, these shows represent an important and long-overdue shift in TV’s hidebound representation of people of color. Labeling diversity a hot “trend” is gross. But ignoring it entirely is something far worse. Even beyond the cultural significance, there’s a considerable financial argument to be made for a greater investment in diversity. Simply put, TV executives are leaving too many untold stories on those aforementioned midcentury modern tables and too many viewers on the sidelines. To be fair, Greenblatt is now developing a miniseries about the Underground Railroad with Stevie Wonder, as well as considering The Wiz for his next live spectacular. But the fact that Greenblatt reached for musicals and warmed-over yuppie tomfoolery before even considering a project about people who don’t live within Uber distance of Broadway would be damning if it weren’t so depressing. 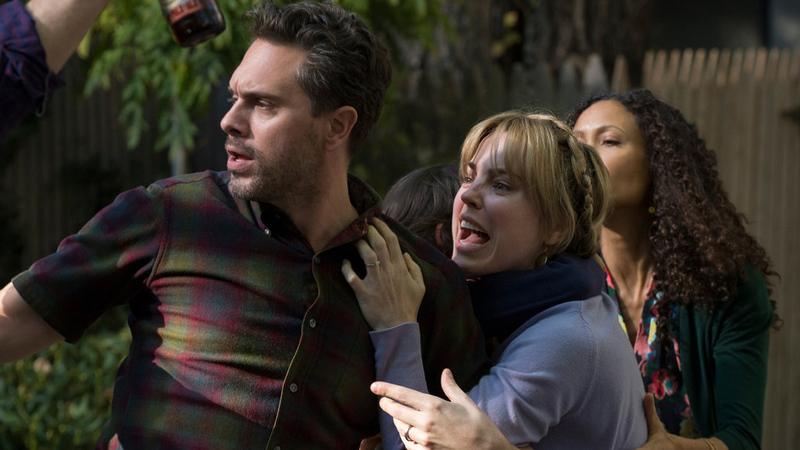 The Slap’s goal is to shock viewers into paying attention. 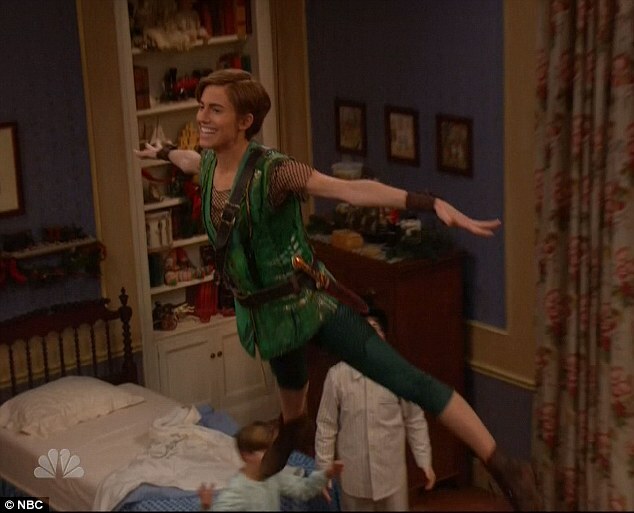 What NBC ought to be aiming for instead is surprising them with something they’ve never seen. ABC, like Grantland, is owned by the Walt Disney Company. Who Is the Least Interesting Character on ‘Empire’?